George Lindbeck is one of the most influential and important ofthe postwar American theologians. His work continues to generatedebate among Christians and Jews as well as among general studentsof religion. The goal of this anthology is to collect key samples ofLindbeck's writing, especially for readers who may know none oronly a few of his books and articles. Many of these pieces speak for themselves. For others, editorJames Buckley provides a brief preface that gives context to eachwriting. 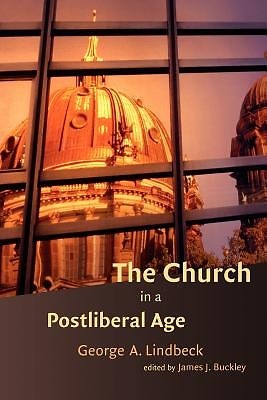 By characterizing Lindbeck's thought as at once evangelical, catholic, and postliberal, Buckley shows how Lindbeck's Christiantheology of the church in a postliberal age can be read as a "radicaltradition." A timely collection of important writings, this Radical Traditionsvolume is an excellent introduction both to Lindbeck's workand to the contentious issues surrounding postliberalism.